The library embraces anything that will reduce the impact on our planet, so the generation we are educating will be able to enjoy it. Recycling is the most common sustainable practice. Asking people to borrow rather to buy but yet have access to high-quality educative toys, has an incredible impact on our environment, as toys avoid landfill all together. The community is becoming accustomed to donate toys for other children to enjoy them. We “pass on” the fun. Spare or missing parts of other toys are utilised either to fix a toy, to complete an existing set or to re-create a new one completely. The library has up-cycled and recycled not just toys but also furniture as well. When the library was recently re-decorated, the materials used had a very high recycled content. For instance, the carpet was made of 100% recycled materials and was installed with a system that was also made of 100% recycled material and had produced almost no VOCs. The permanent staff, members and volunteers are encouraged to follow sustainable practices within the library. The library is also going paperless. One can pay or signup online or at the library with credit cards. 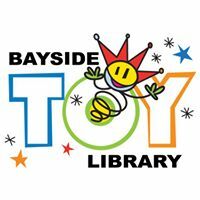 Recently, Bayside Toy Library has won a grant from the local newspaper The Leader, based on the conscious effort of closing the loop within the community, highlighting the role that toy libraries play in reducing waste.